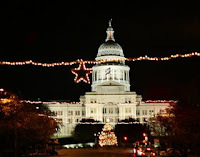 If you’re planning to attend the annual Holiday Sing-Along, Capitol Tree Lighting and Congress Avenue Stroll on December 6 starting at 6 p.m., Capital Metro will make it easier for you to get around to the many restaurants, shops, galleries and museums that will be open for the event. We’ll keep running the Congress Avenue ‘Dillo route until 9 p.m. You can pay just 50 cents for unlimited ‘Dillo rides for two hours. Or if you already have a 31-Day ‘Dillo Pass, that’ll work too. 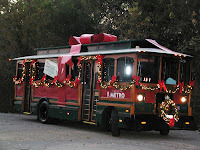 If you drive your car to the festivities, you can park once and then hop on the ‘Dillo. No need to worry about the schedule. The ‘Dillo comes by every five minutes.